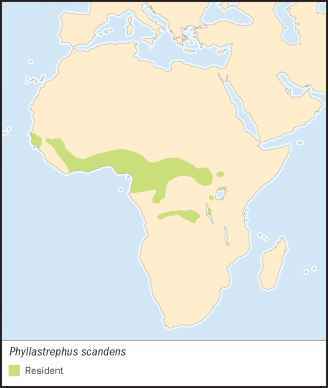 Phyllastrephus scandens Swainson, 1837, West Africa. 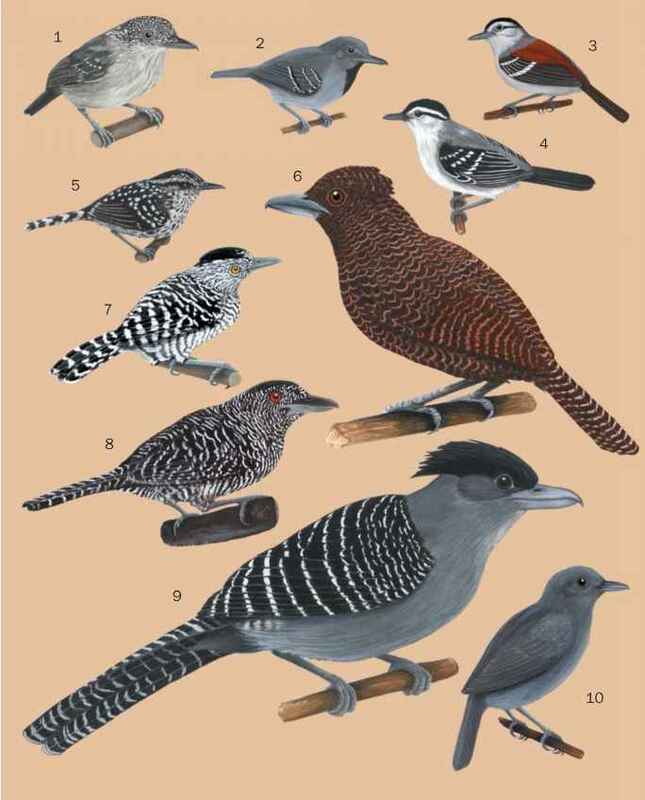 Closest allies Thescelocichla and Chlorocichla flavicollis, based on bill shape. Two races recognized based on plumage and wing length. English: Leaflove; French: Bulbul a queue rousse; German: Uferbulbul; Spanish: Amante de Hojas. 5.9 in (15 cm); 1.1-1.9 oz (33-53 g). Gray head, back gray-olive, bright, rusty tail, feathers of tail and rump fluffy. Some black bristles on nape of neck and near bill. Belly creamy whitish yellow. Sexes alike. Juvenile mostly olive-gray with rusty wash, chin and underparts white, undertail pale rust. Togo, Nigeria, Cameroon, Gabon, southern Congo, Central African Republic, and Zaire. Forest and thickets near water. Moves in pairs or small flocks; will defend communal territory with chorus. Drops from high perch into streams to bathe, flies back to perch to shake and preen, then drops again. Groups produce loud, raucous chorus. Forages in canopy, on ground, and in vegetation for insects and their larvae, also eats small snails, seeds, and berries. Territorial during breeding season. Cup-shaped nest suspended in twigs by cobwebs, appears too small for the bird. Incubation by female only. Not threatened. Locally common, though fragmented distribution.